A mask sheet that provides elasticity and rich moisture to the skin. 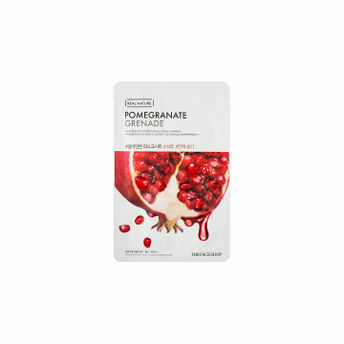 With pomegranate extracts, the all new Real Nature Pomegranate Face Mask by Face Shop is here to transform your skin! Fight the first signs of aging and improve your skin's elasticity with long-lasting hydration and a radiant complexion. 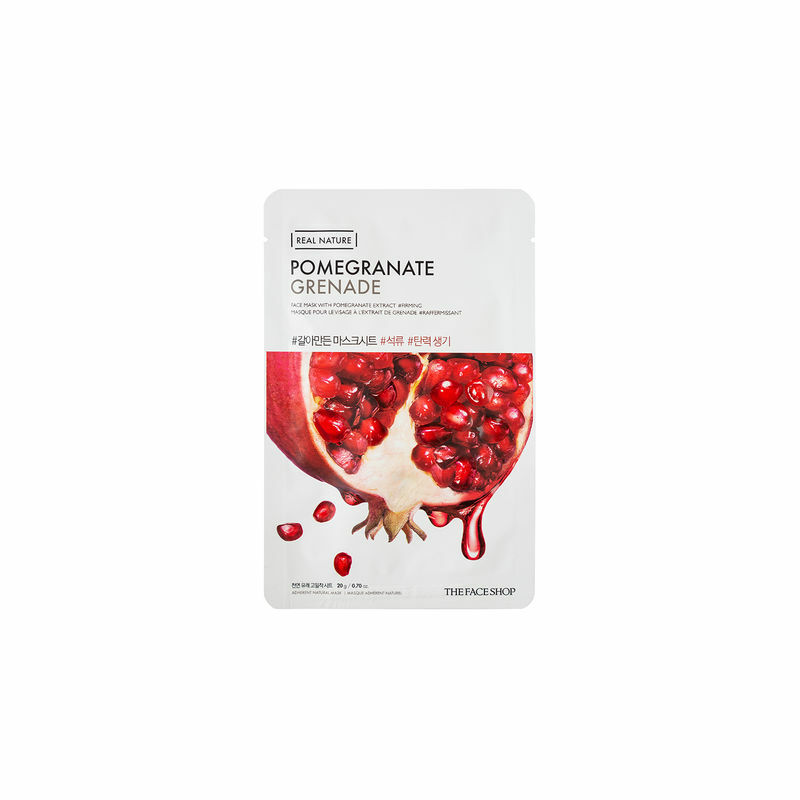 Pomegranate extracts rich in antioxidants helps in bringing back skin's bounciness and provides wrinkle care. So ladies, this is a mask we absolutely swear by. Are you ready for gorgeous skin days? We think so! Explore the entire range of Sheet Masks available on Nykaa. Shop more The Face Shop products here.You can browse through the complete world of The Face Shop Sheet Masks . Address of Mfg / Importer / Brand: LG Gwanghwamoon Building, 10F, 58, Saemunan-Ro, Jongno-Gu, Seoul, Korea.